[GURPS] February 18, 2019: CMON's Munchkin Dungeon Closes Today! Thread: February 18, 2019: CMON's Munchkin Dungeon Closes Today! Please check out and join the project today! 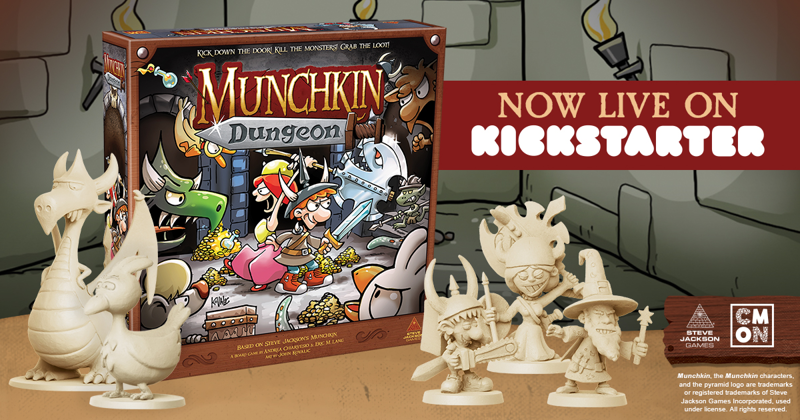 *Munchkin Dungeon is a monster of a game, and your support in these final hours can help add even more to the Munchkin Dungeon line. If the recent weather's got you down, consider going somewhere else .*.*. perhaps even somewhen else! GURPS Hot Spots: Renaissance Venice is your gamerly guide to that most beautiful of historic locales, Venice. Whether getting enmeshed in the politics, taking in the sights, or enjoying the food and culture, Renaissance Venice is a great spot for adventurers to visit .*.*. and it's just a download away, thanks to Warehouse 23!